These RHTC magnetic bending machines can be used for several different purposes. The fundamental principle of this bending machine is that it uses electromagnetic clamping, which means that folding loads are taken right at the point where they are generated; forces do not have to be transferred to support structures at the ends of the machine. This in turn means that the clamping member does not need any structural bulk and hence can be made much more compact en less cumbersome. The thickness of the clamp bar of the RHTC magnetic bending machine is determined only by its requirement to carry sufficient magnetic flux and not by structural considerations at all. The unique centerless compound hinges which have been developed especially for these magnetic bending machine models, are distributed along the length of the bending beam and thus, like the clamp bar, take folding loads close to where they are generated. The combined effect of the magnetic clamping with the special centerless hinges means that this RHTC magnetic bending machine is a very compact and saves space. This bending machine has a high strenght-to-weight ratio. The RHTC magnetic bending machines come with a detailed manual which covers how to use the machine, as well as how to make various common items. Back stops for locating the workpiece and a set of short clamp bars that plug together are standard with all bending machine models. The safety operator is enhanced by a two-handed electrical interlock that ensures a safe pre-clamping force is applied before full clamping occurs. 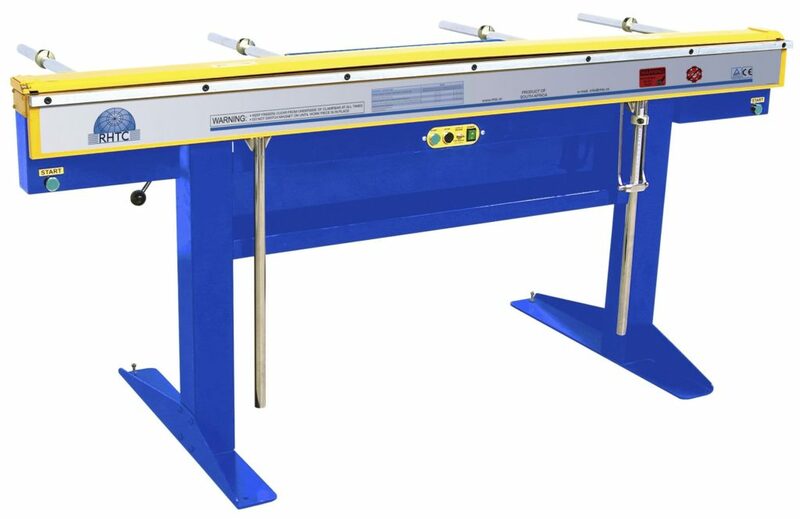 Furthermore, these RHTC magnetic bending machines will be delivered with narrow clamp bars, slotted clamp bars and a foot pedal for remote control.